Some of the luxury watch industry’s most popular brands are scheduled to present their latest timepieces at New York City’s Madison Avenue Watch Week. Now in its seventh year, the six-day event, scheduled for May 8 to 13, will host a number of stateside debuts, as brands plan to showcase the splashy new timepieces they recently unveiled at the Salon International de la Haute Horlogerie and the Baselworld World Watch and Jewelry Show. Participating watch and jewelry-watch brands this year include A. Lange & Söhne, Asprey, Chopard, David Yurman, De Beers, F.P. Journe, Hublot, Jaeger-LeCoultre, Montblanc, Panerai, and Vacheron Constantin. 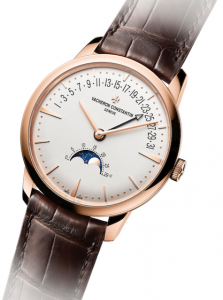 The event was created for watch collectors and connoisseurs—be they private individuals, dealers, or watch retailers. Any and all can participate in events and schedule individual appointments with brands through the event’s website. The event will include artisan demonstrations, discussions with watchmakers, trend presentations, and exhibitions of antique and historic timepieces. Asprey will exhibit its new Entheus R2 timepiece collection for men and women. 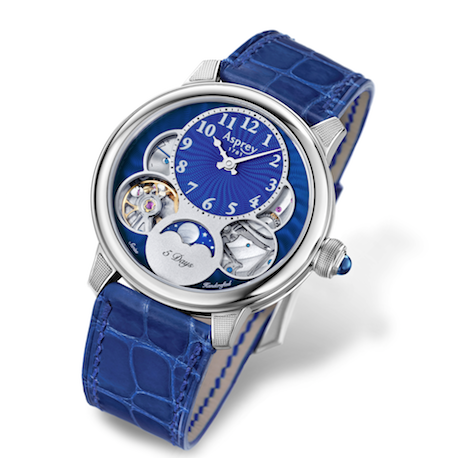 Chopard will preview timepieces it debuted at Baselworld. A. Lange & Söhne will present a new exhibition of Lang Haus. De Beers will preview an exclusive selection of women’s watches. Montblanc and F.P. Journe will host previews of their 2017 timepieces. Madison Avenue Watch Week is hosted by the Madison Avenue Business Improvement District, sponsored by The Wall Street Journal, and supported by the Horological Society of New York. For more information—or to request an invitation— visit madisonavenuewatchweek.com.